The Jaffa Group is a family business that goes to extremes to build dreams. 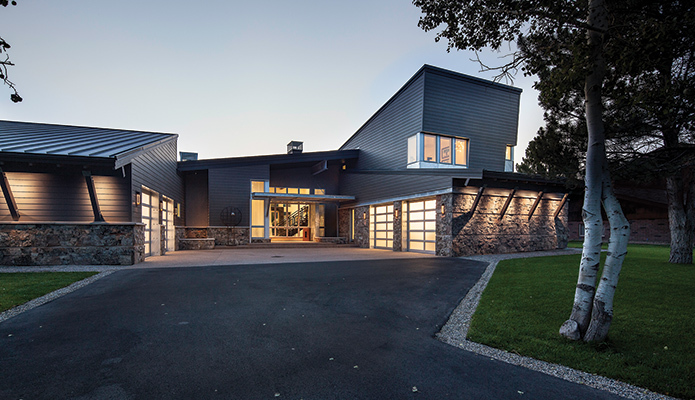 In 1994, Richard Jaffa and son Scott joined their formidable talents together to found the Jaffa Group in Park City with the intent of offering custom-designed homes from conception to completion. With construction, architecture, and interior design under one roof, the Jaffa Group works with clients from site acquisition, land planning, initial job costs, design, building plans, bidding, permitting, construction, move-in, warranty, and maintenance. “It’s also attractive to our clients that we have such a broad range of experience building custom and spec homes. It gives us a good sense of the market for what clients are looking to build. In addition, we know what things cost and consequently can prepare highly reliable preliminary budgets,” Scott notes. However, clients can pick and choose the Jaffa Group’s services according to their wants and needs. “Clients can ask for as much or as little as best suits their situation. There are many cases where we only do the design or only the construction. Right now, we are working on a project where we are preparing the architectural design and constructing the home, but the client is opting to work with an outside interior designer they have worked with previously. We offer consolidated or individual services,” Scott clarifies. The Jaffa Group has completed approximately 100 new homes and significant remodels during its twenty years through the natural design/build partnership of father and son. Richard Jaffa has been constructing fine homes for an impressive 50 years, and in doing so he has assembled an ability for getting things done and making things work that only comes through experience. With roots in Park City dating back to 1981, Richard also knows the town and its people. Scott Jaffa, AIA, earned an undergraduate degree in design and a master’s degree in architecture, and he had extensive home design experience before joining the Jaffa Group. 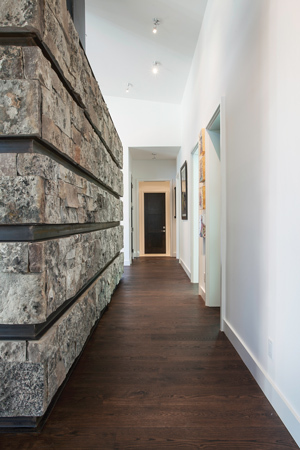 The Jaffa Group’s commitment to raising the bar on design and construction in Park City has consistently been recognized over the years by their peers and professional associations with extensive awards. In turn, Richard has offered his time and leadership as president to the Park City Home Builders Association. Another important consideration for Scott was full use of all the home’s space by the couple and their active twin preschoolers. “We designed for how we live, rather than an ideal of how we would like to live, but won’t.” The concept is one of a great hall that combines an open kitchen with dining and living areas. A 22-foot wall of windows folds away to fully connect the space with the outdoors. It’s cozy for the four of them, and they can easily host a party or fundraiser for 200. Scott and Richard say the build quality for this Gold-certified home is typical for the Jaffa Group, whether or not a certification is pursued. To learn more about the Jaffa Group, find them on the web, or call for a consultation appointment.